I was not disappointed when the watch came!! Wow!!!! Easily as beautiful as my old Rolex GMT master 2 with he same high quality look and weight. 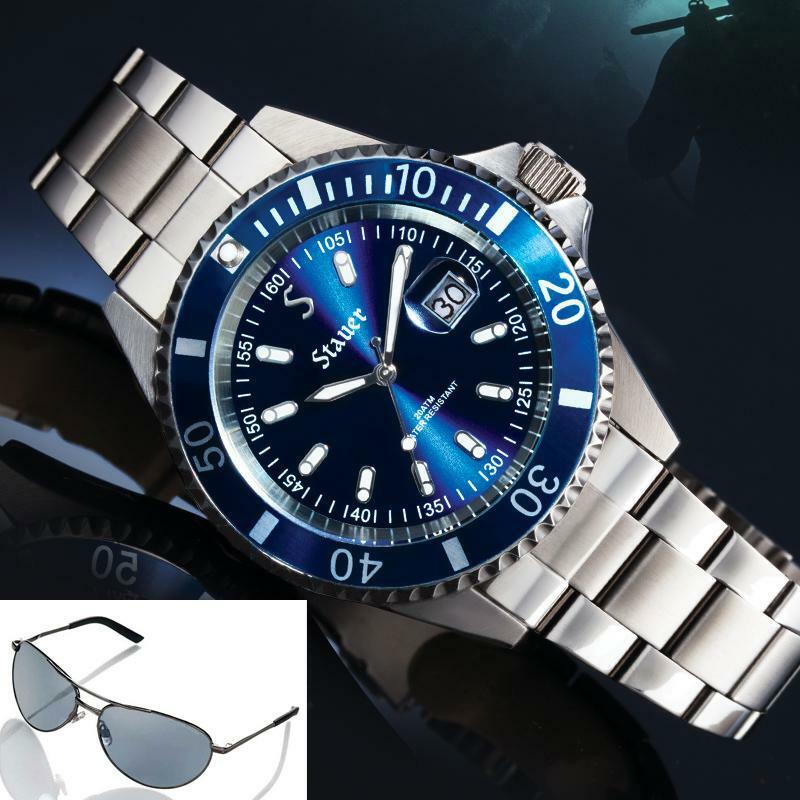 I bought this watch and sunglasses with a special $50 coupon. At $29 plus shipping it was more like a gift than a purchase. I would say that this watch is comparable to watches 5 times that price. It's a very solid buy if you are looking for a good looking outdoor watch that's perfect for all occasions that you can wear to and from the pool or the beach. The fit, finish, and comfort of the band is excellent. You will also receive a good quality pair of sunglasses. This is a win win on all fronts. Amazing value!! I am very pleased with my new watch! I have no idea how they can sell a watch of such high quality for such a low price but I am glad they do. I highly recommend this watch and Stauer. Once again, I am VERY pleased with my purchase. 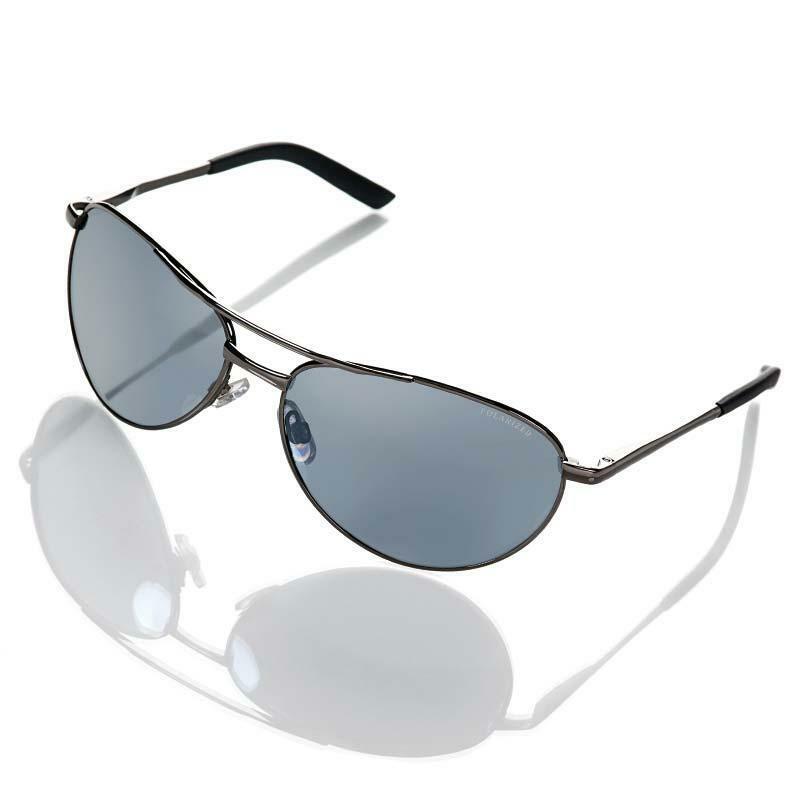 PLUS-Get the Flyboy Optics Sunglasses (A $99 value!) FREE when you purchase the Stauer Excursion Dive Watch! I was feeling restless and jumpy. I kept catching myself staring out the window at work for minutes at a stretch. After a few weeks of this, I went to my doctor and explained my curious condition. Upon hearing my predicament, he chuckled and said it's a common problem he sees this time of year. I pressed him for the remedy, and he scribbled the following on a prescription pad: Take two planes to Belize and call me in the morning. Now it was my turn to laugh. It was true, I had been working hard, and I was overdue for some well-deserved R&R. And besides, who was I to argue with a man of medicine? I called the office to tell them of my plans, threw some clothes and a Hemingway novel in a suitcase and headed for the airport. I also made sure to wear the most important element of my trip: my Excursion Dive Watch. At home exploring coral reefs or investigating the rum options at a beachside bar, this watch is the perfect companion in any locale. 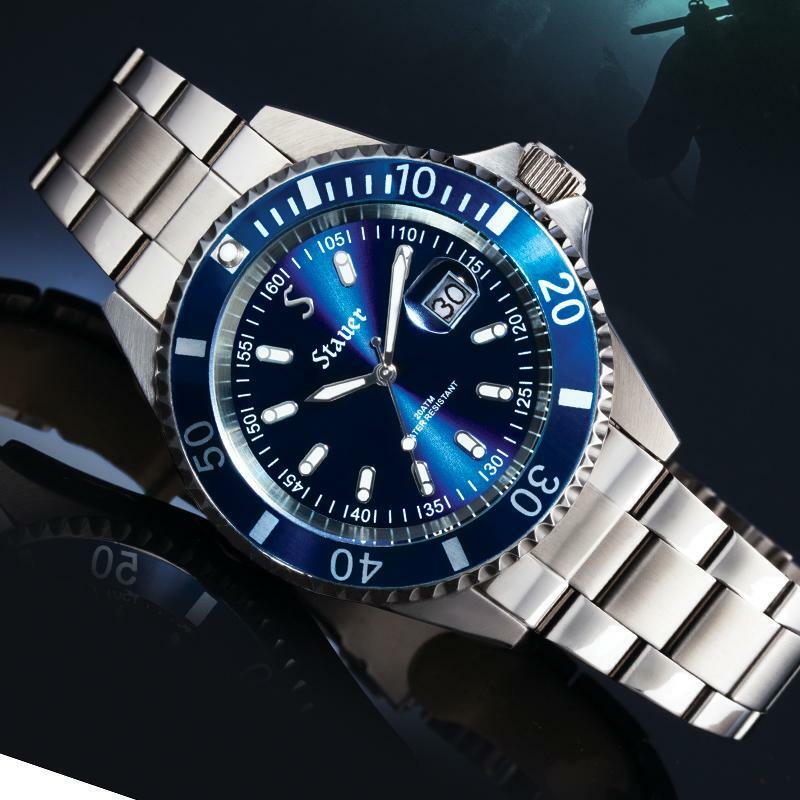 With a case, band and crown of stainless steel, this watch is built to last, and its water resistance rating of 20 ATM means it can handle most of your aquatic adventures. Usually we discourage knowing the day while on vacation, but in case you must know, we've included a date window at the 3 o'clock marker. To reflect the calming waves of the ocean, we've made the watch's face midnight blue. And with precision crystal movement, you'll always know the exact time happy hour starts. We all need a reminder to take it easy, and every time I glance at this stainless steel beauty it takes me back to the days of sunshine and surf. Don't settle for just another timepiece. Wear the Excursion Dive Watch. Because you don't need a plane to get away from it all.